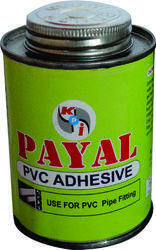 Prominent & Leading Manufacturer from Ahmedabad, we offer pvc solution adhesives. We are Trader & Importer of PVC Solution Adhesives. Our product range also comprises of PVC Pipe Fitting & Foam Sheet, Advertising Material.